Although mind-wandering during silent reading is well documented, to date no research has investigated whether similar processes occur during reading aloud. In the present study, participants read a passage either silently or aloud while periodically being probed about mind-wandering. Although their comprehension accuracies were similar for both reading conditions, participants reported more mind-wandering while they were reading aloud. These episodes of mindless reading were associated with nearly normal prosody, but were nevertheless distinguished by subtle fluctuations in volume that were predictive of both overall comprehension accuracy and individual sentence comprehension. 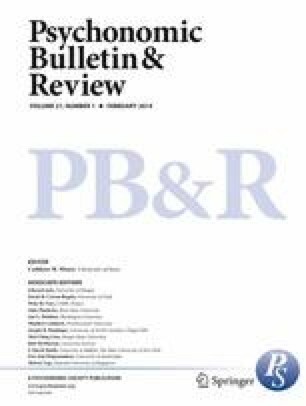 Together, these findings reveal that previously hidden within the common activity of reading aloud lies: (1) a demonstration of the remarkable automaticity of speech, (2) a situation that is surprisingly conducive to mind-wandering, (3) subtle vocal signatures of mind-wandering and comprehension accuracy, and (4) the promise of developing useful interventions to improve reading. The online version of this article (doi: 10.3758/s13423-013-0468-2) contains supplementary material, which is available to authorized users. M.S.F. and J.W.S. are supported through United States Department of Education Grant No. R305A110277 awarded to J.W.S. In addition, B.W.M. and B.B. are supported by a National Science Foundation Graduate Research Fellowship, under Grant Nos. DGE-1144085 and DGE-0707430, respectively. The content of this article does not necessarily reflect the position or policy of the U.S. Government, and no official endorsement should be inferred. We appreciate the helpful comments that Claire Zedelius made on an earlier draft.